Lakeside's D.J. 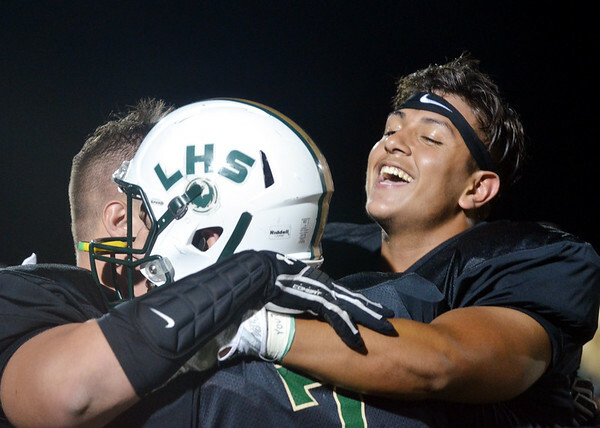 Rosario (right) hugs Dragon quarterback Spencer Loftus (7) and lineman Luciano Cunningham after a touchdown on Friday evening. Lakeside defeated Madison 14-9.